You might be familiar with lots of the best note-taking apps for Linux. We’re going to tell you about another note-taking app named Medleytext. Do you know about Medleytext? Medleytext is an open source, cross-platform, and a free application for developers to take different notes with various functions. It boosts productivity with the help of smart and stylish programming notes. 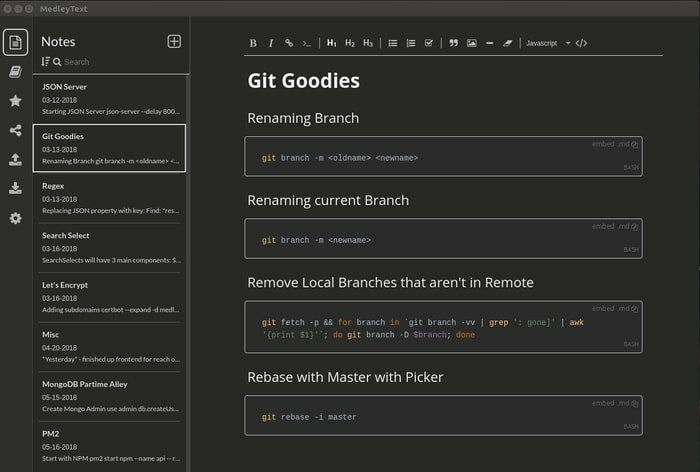 You can create these programming notes by using expressive editors available with rich formation options like images, header, to-dos, and many more. There are options in panels for adding, importing and sharing notes. At the top of the text editor, it has floating editing options. You will also have indications of the last saved notes. To share your notes with your friends it can create a shareable link for each note. Through those links, your friends will be able to get access to your notes. Available for Windows, Mac and Linux users. A UI that support massive customizations. 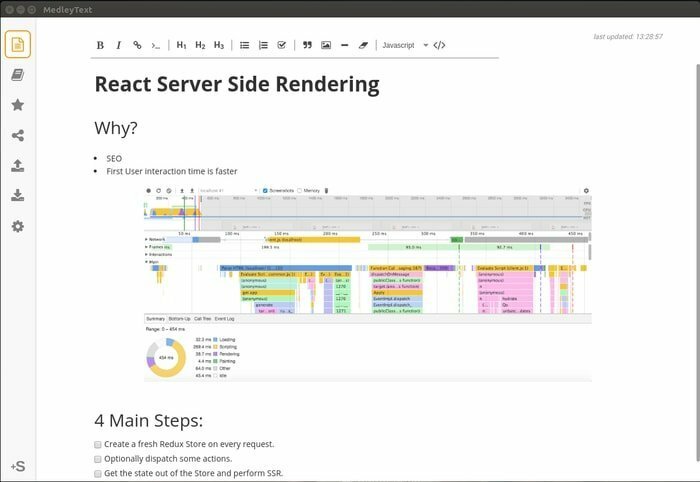 Supports customization in keyboard shortcuts, spacing, font sizes, 15 different color schemes, and light/dark theme. Available free download with updates. The web version eliminates downloading the desktop app. Supports cloud synchronization with Onedrive, Google Drive, and DropBox. 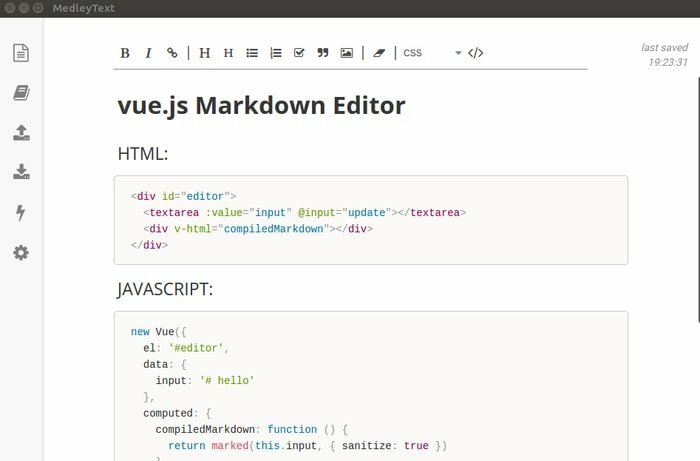 No compatibility issues while importing and exporting Markdown notes from other code editors. With so many advantageous features including smart handling of return keystroke and tab support, Medleytext is going to be your habit. It could be in the top of your note-taking list. You’re not going to regret using Medleytext as your note-taking app. Just give it a test drive. Tell us about your thoughts and suggestion regarding Medleytext in the comment below. Don’t forget to share this article on social media if you like it.